If you’re bored of using a Windows phone then you can try this tutorial. In this article, we will let you know “How To Install Android Apps On Windows 10 Mobile”. !!! Run Android Apps On Windows 10 Mobile !!! Step 1: Download wconnect and Android SDK ADB tool. Step 2: Now unzip SDK, connect tool and install IpOverUsbInstaller.msi and vcredist_x86.exe. Make sure ADB commands are working. Step 3: Open Windows 10 phone Settings > Update and security > Developers. 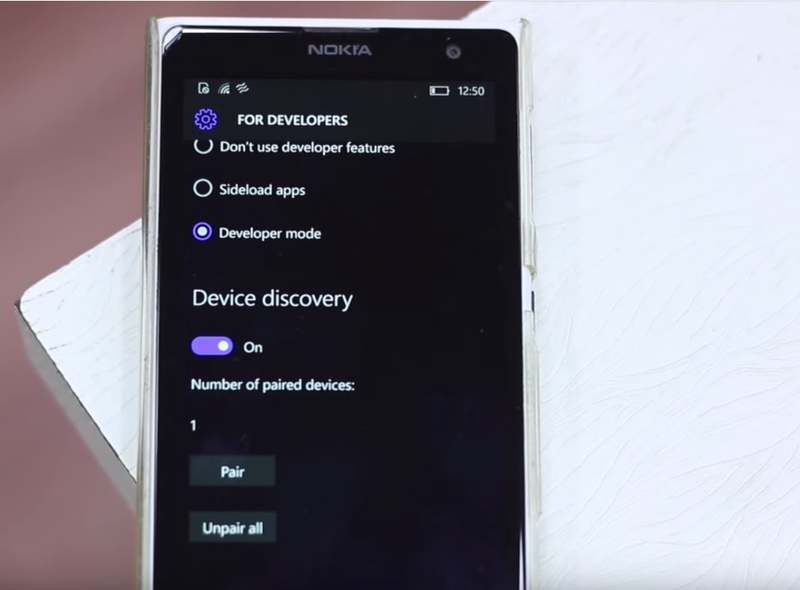 Checkdeveloper mode and turn on Device Discovery. Step 4: Open command window on wconnect folder. Now you need to connect your phone and you can do it in two ways. Step 5: Now move to extracted adb folder and open an elevated command prompt. Step 6: Type adb device to check if you device is connected. After following the above steps wait for couple of minutes so that the android app will install on your Windows 10 Mobile. Latest build of Windows 10 for Desktop / PC and Windows 10 Mobile Preview. Note: Try this at your own risk, this may damage your device.